Well, I just jumped into the world of the little guys....10mm! This all came about when I mentioned to a friend that I wanted to build armies for the new, grand tactical ACW rules "Across A Deadly Field". These rules are for fighting the BIG battles, and my 15mm and 28mm armies on my table wouldn't give me the ground scale I was looking for. I had thought about 6mm or 10mm and in a conversation he told me that he had a bunch a 10mm figures just collecting dust that he would let me have. (Thanks John!) I have since picked up a few things off eBay. I'm planning on painting the OOB for Shiloh, and I started with the 52nd TN under the leadership of Col. Benjamin Lea. 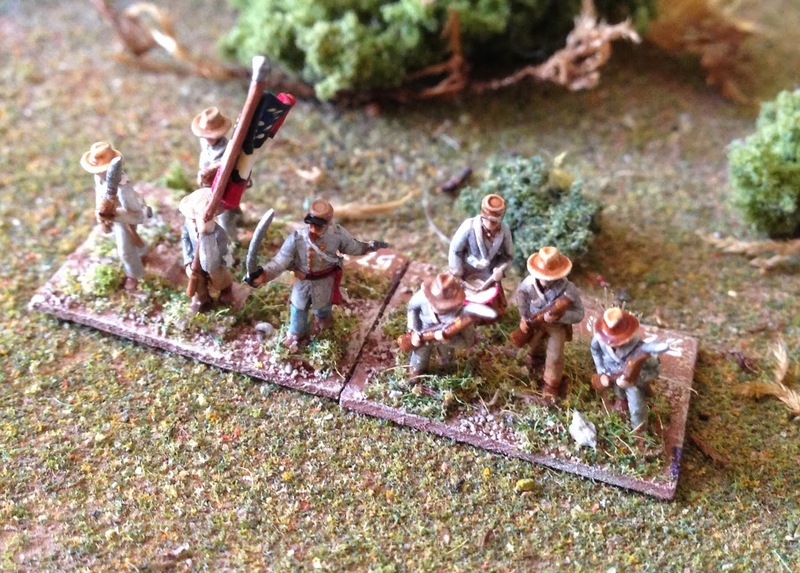 Like many CSA units in 1862, this is a green unit going into battle with mixed flintlocks. Brave lads! I like the look of the 10mm figures, but they appeal more to my "wargamer" side and less to my "painting and modeling" side. 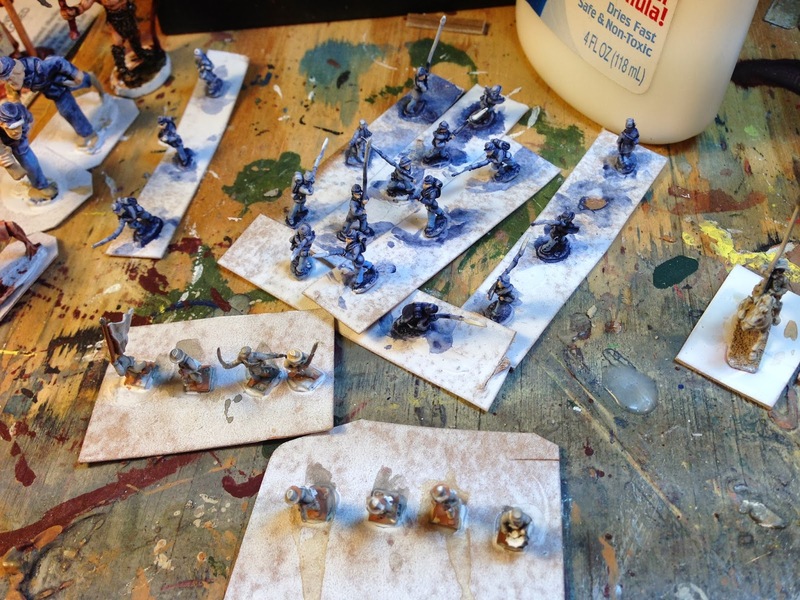 Lots of 10mm units will look great marching across the tabletop, but I'm not ready to give up painting 28mm yet! 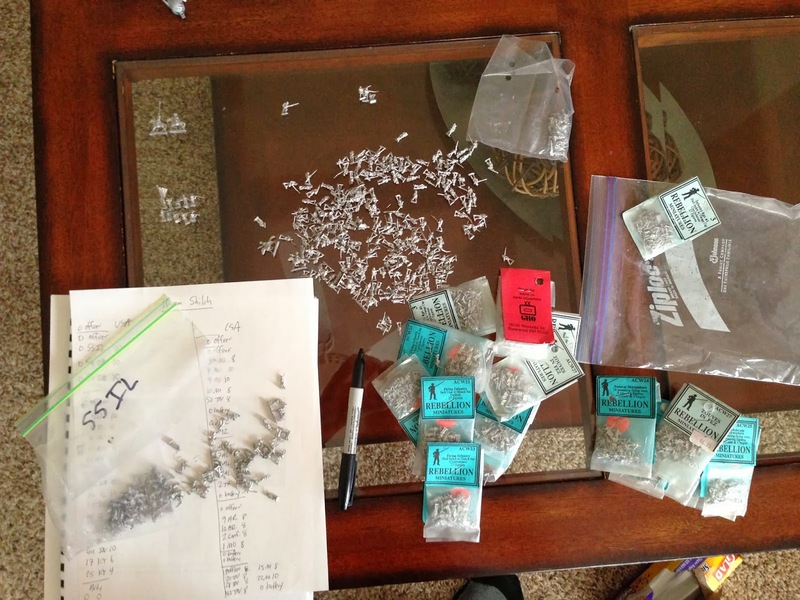 Sorting the pile of lead that my friend sent me! Getting ready to prime a few units and a Gen. I thought I would go with a wash on these guys. I'll try a black prime and dry brush on the next batch and see which I like better. The 52nd Tennessee. I like the early war CSA flags. 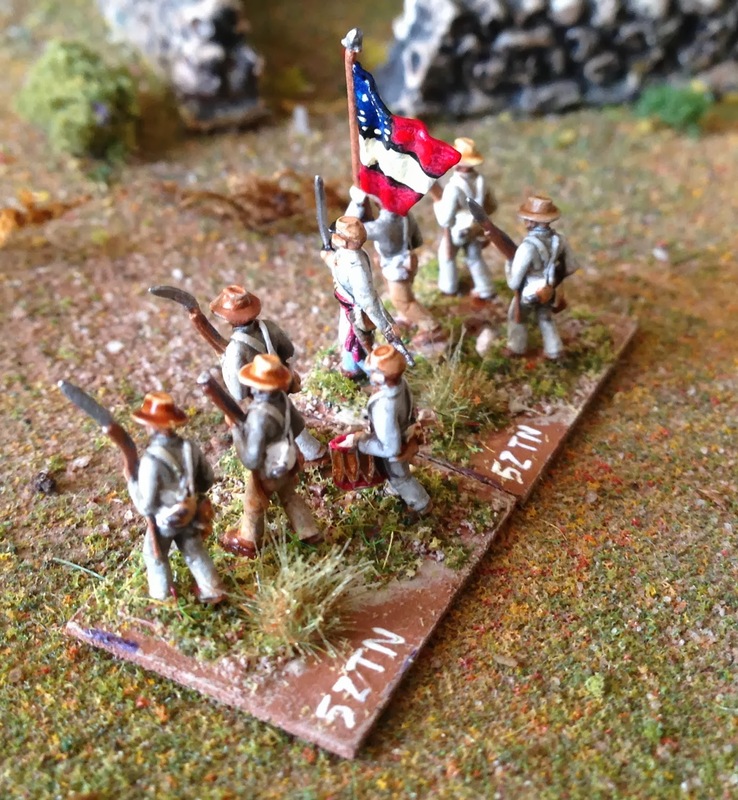 I painted a first national CSA flag on this unit. I believe these are GHQ figures. Forward 52nd! 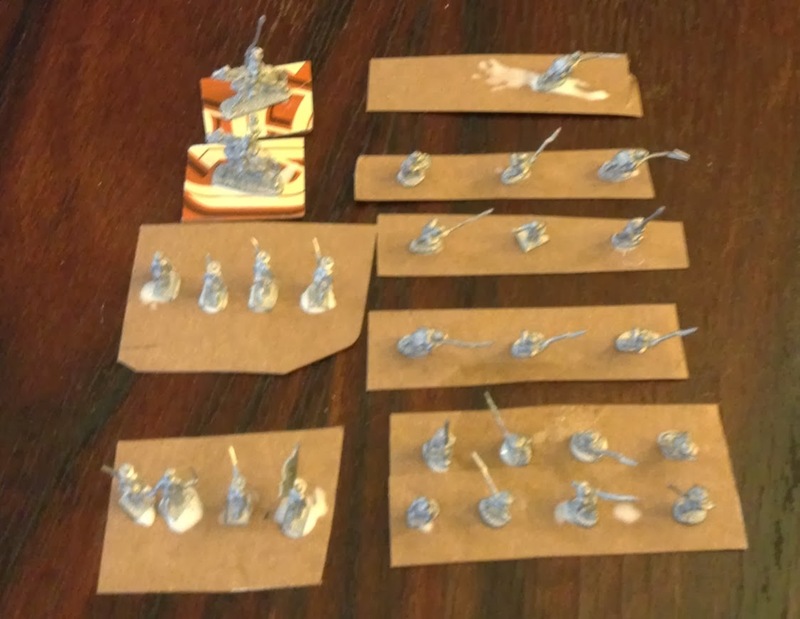 At only 6-10 figures a unit I can have the armies ready for Shiloh pretty quick I think. As long as I can find some painting time! Thanks Dean! I'm thinking I'll start with some black primed Union first and just dry brush layers of blue. Nice work Cory. I keep dabbling a little in 10mm, but the jury is still out on how I feel about them. It will be interesting to see where you go with them. Thanks! I know exactly how you feel. 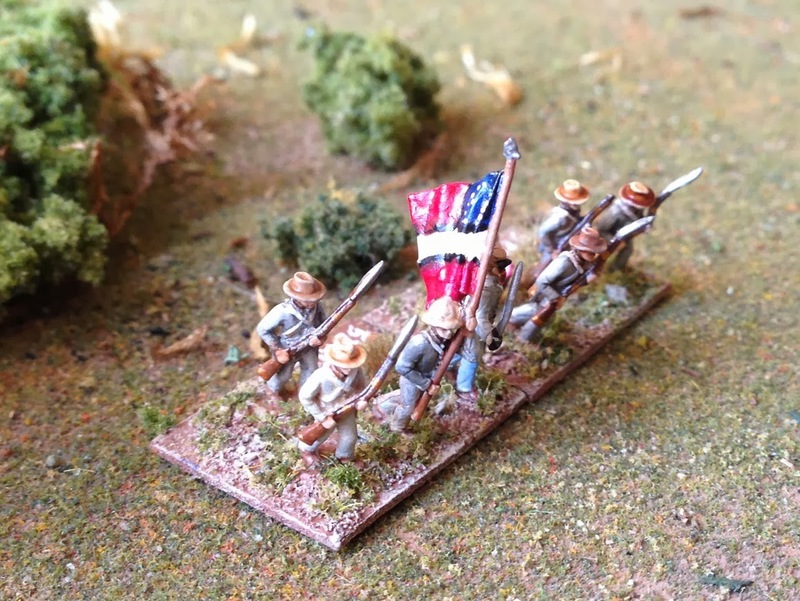 They are great for "gaming" but don't appeal to the "modeler / painter" in me as much as the 28mm. I agree, one of the beauties with 10mm minis to be able to create "mass appeal" on the table top battlefield with all brigades/divisions represented from historical orders of battle. ahh 10mm and they look good! I've tried it myself but found they are too small for me unfortunately. Look forward to see this develop here..
Nice looking troops, love the officer!